The Memorial Oak Program. The Development Office at Oak Hill Academy is happy to feature a new way to support The Academy and to memorialize a loved one with ties to our school. There is an emphasis on environmental sustainability throughout our campus programs and The Memorial Oak Program is a logical extension of that. If Alumni or Friends of The Academy would like to designate $1,000 of their contribution to this program, an oak tree will be planted in memory of a loved one. These trees are planted throughout the gorgeous 240 acres that is Oak Hill’s campus. What better way to symbolize the ongoing impact our alumni and friends make to the betterment of Oak Hill’s mission than a living memorial that continually adds to the campus beauty? 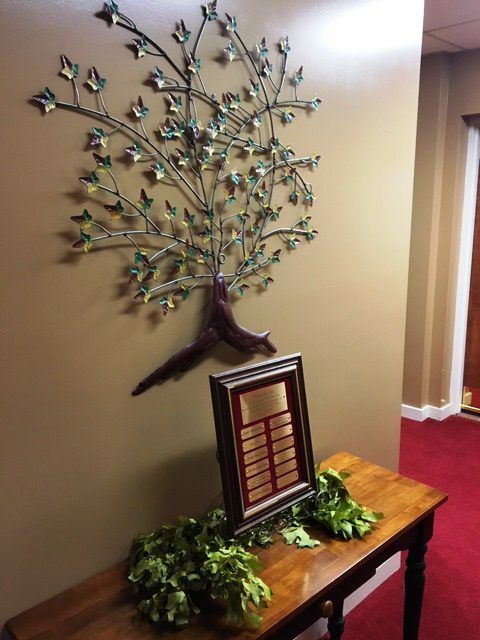 Gifts in honor will include being added to the Memorial Oak plaque on display in the Oak Hill Academy Archives Room lobby and will serve as a continual reminder of the impact that individual or family has had on our mission. To participate in this program, please click on the link below and look for the Memorial Oak in the gift designation box.